Bedroom designs are often difficult to carry out, especially if it is for a teenage girl. There are a lot of things you need to consider, things that would make your girl’s room a personal heaven for her. The main thing you need to consider while designing a teenage girl’s bedroom is the color scheme you choose. 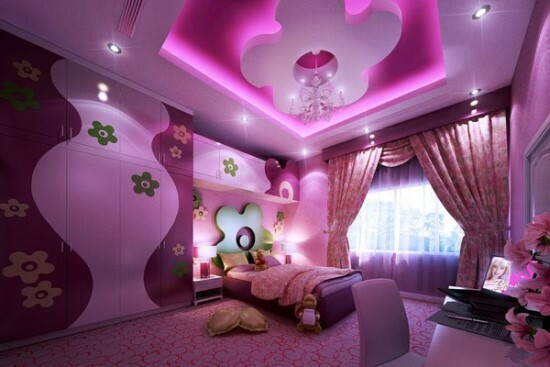 Generally, when designing a girl’s bedroom the one color that is generally chosen is pink. But purple is one other color that girls just love that much. Purple is one color whose every shade looks lovely, be it dark or light. Purple bedroom ideas might prove just perfect for your teenage daughter. Bedroom designs can be done either keeping in mind the furniture you want to decorate or the wall décor. 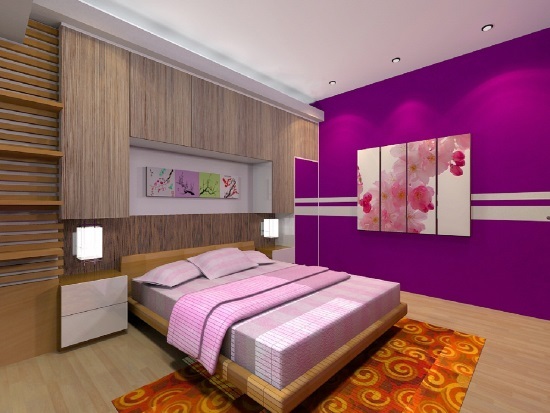 You can choose a color scheme of different shades of purple coupled with other colors such as a pink, white, or black to give a unique and contemporary look to teenage girls bedrooms. Girls often want their rooms to replicate their place of dreams and if that is so, you can choose the shades of purple that will represent just her place of dreams. With just this single color, you can create a glamorous look or a dreamy look in the room. Combining a dark shade of purple with black will surely add a glamorous touch to the girls bedrooms. Lavender is a pastel shade, which works perfect in creating that dreamy look of a room, especially when combined with colors such as white or baby pink. 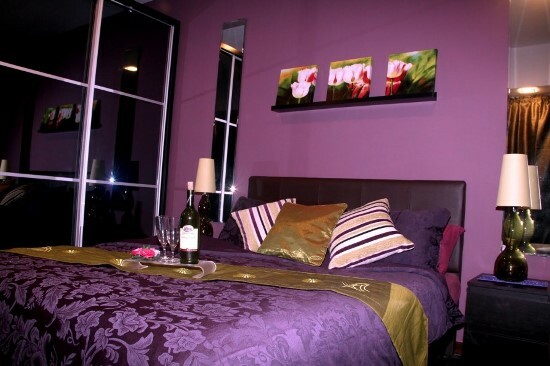 Purple room ideas may not necessarily be those that have everything purple in them. Mixing other colors might just accentuate and bring out that elegance and classiness of a room. 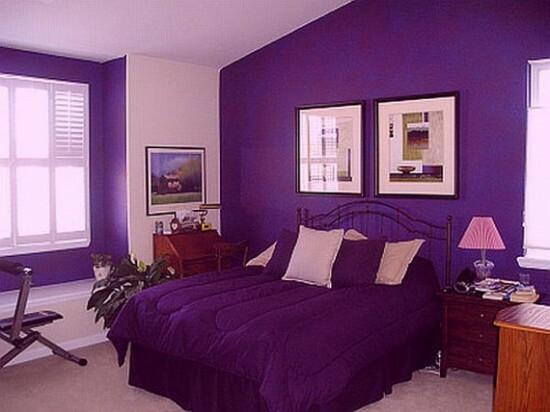 You can go for choosing the furniture of purple color scheme. You can also have strategic placement of the color purple in the girl’s room. For example, choosing certain furniture and décor items such as a table lamp, wardrobe, curtains, etc. to be purple while having white or a different pastel shade on the walls may create a beautiful, cozy look in the room. You can also go for an accent wall painted in a dark purple shade, while the remaining walls are painted a lighter shade. You can then include furniture based on a similar color scheme or choose other colors such as black, white, pink, etc. If not the entire room, adding the element of purple simply with bed covers and cushions is also a great idea for girls bedrooms. 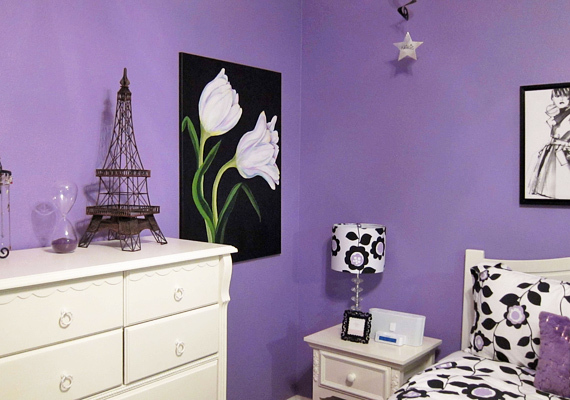 For teenage girls bedrooms, you can also add the color purple where the girls are likely to spend more time on. For example, you could add their favorite color on to the couch where they might sit on and spend their extra time reading, or add a purple colored hanging chair amidst other purple décor in the room to give a high definition of extravagance to the room. 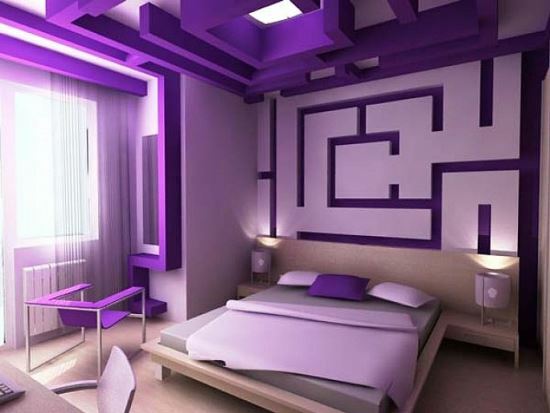 Designs and ideas are many of which we have brought forth 50 inspiring purple bedroom ideas for you.